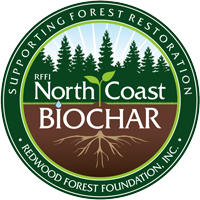 North Coast Biochar evolved from the Redwood Forest Foundation, Inc. (RRFI) need to remove hardwoods and brush from overcrowded forest stands. This forest restoration increases conifer growth, reduces the risk of catastrophic forest fires, improves forest habitat and biodiversity, while increasing water flowing into local streams and tributaries. The removed tanoaks are converted to a product known as biochar. North Coast Biochar itself has an array of ecological and economic benefits: reducing water and fertilizer use, improvement of soil health and storing carbon for hundreds if not thousands of years. SEE VIDEO BELOW ABOUT BIOCHAR. 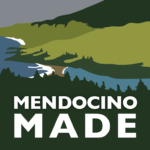 This enterprise has been supported by a variety of grants including the Mendocino Community Foundation, the State of California, the Long Foundation and most recently a series of grants from the Weyerhaeuser Family Foundation. 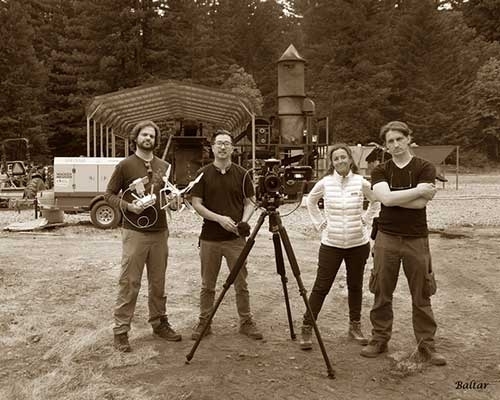 The Biochar Demonstration Project emerged from the community through a series of community outreach events organized by the Mendocino County Woody Biomass Working Group (WBWG). 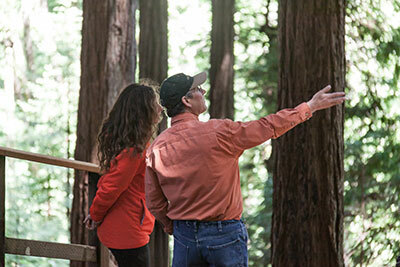 The Redwood Forest Foundation, Inc. (RRFI) agreed to take the lead responsibility for implementing the project because it is synergistic with RFFI’s values and objectives. 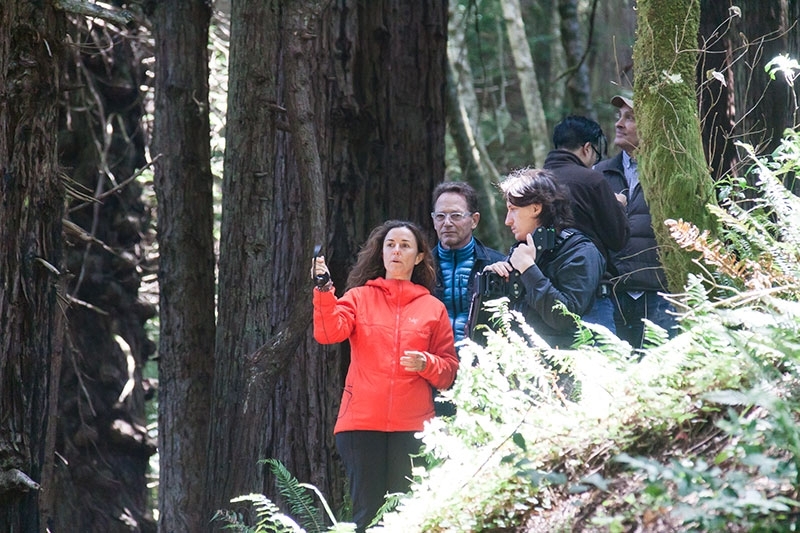 Working with the Mendocino WBWG, Humboldt State University and a network of partners, RFFI has been able to secure the funding to get the program started. Some operational funding support is still needed to bridge the gap until the project will become self-supporting. 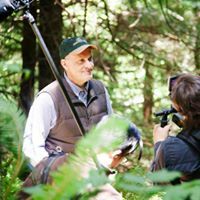 Acquire, promote and restore the ecological integrity of large working landscapes that are critical to addressing climate change and providing habitat for an abundance of wild species. From an ecological perspective, removing excess woody biomass from overcrowded forest stands is a form of forest restoration – reducing risk of catastrophic forest fire events, improving forest habitat and biodiversity and increasing water discharge into local streams and tributaries. In addition, biochar itself has an array of ecological benefits including carbon sequestration, the prevention of fertilizer run-off and overall improvement of soil health. 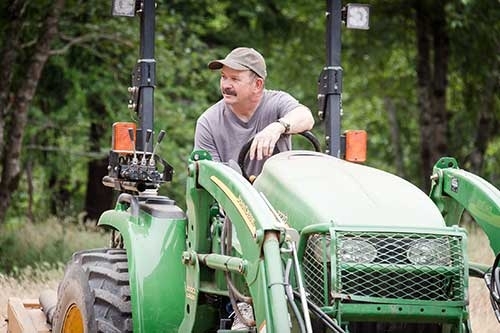 Economy: Advance economic solutions to timberland ownership and management that support local employment and local businesses while insuring that the resource remains economically productive in perpetuity. Economically, biochar has a higher value than other end products such as biomass converted into electricity. This higher value allows for a smaller scale project that can produce enough revenue to pay for itself. The economic sustainability of the project will be a key factor in the eventual replication of the project throughout the region. Equity: Promote social equity through sustainable management solutions shaped in collaboration with regional stakeholders. Future excess revenue will be reinvested in the community for its continued benefit. From the perspective of social equity, this project will provide well-paying jobs thinning, transporting, operating the conversion unit and managing the project. Additionally, this project is part of the localization movement, which has gained widespread support throughout the region. RFFI will be producing an input into local agriculture from local forests. 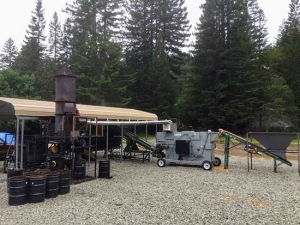 An overview of the RFFI Biochar Demonstration Project,including interviews with major project players and the T-1000 Biochar Conversion Unit in operation at the Branscomb Mill Site. In 2018, RFFI and their partners completed the second phase of “From Forest to Farm and Beyond”. The North Coast Biochar team developed a comprehensive report on biomass conversion technology, a comparative technology chart, biomass product information and current research into the characteristics and effectiveness of biochar. 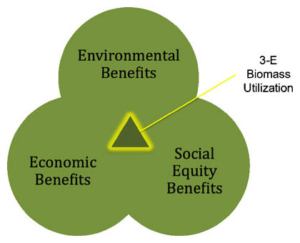 In addition, the Mendocino County Woody Biomass Working Group and Triple Bottom Line produced an issue paper that is being shared with California policy makers. North Coast Biochar: Consider the source! forest health, and reduce the danger of forest fires. contact Raymond Baltar at (707) 291-3240 or by email: raymond.baltar@gmail.com. 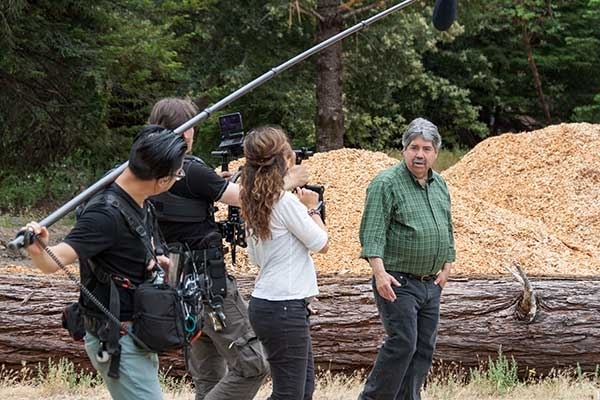 Biochar’s role in addressing climate change has earned it top billing in the Leonardo Di Caprio “Ice on Fire” film, which will debut on HBO on Earth Day 2019. Placing biochar in the soil to sequester carbon for hundreds, if not thousands, of years has been espoused by the Intergovernmental Panel on Climate Change and the Science.